The full BSDB Constitution can be viewed here. The BSDB’s history started with the foundation of “The (London) Embryologists’ Club” in 1948. To learn more, download the article “A short history of the BSDB“ by Jonathan Slack or read the blog post by Andreas Prokop about the BSDB Archive. The BSDB Newsletter is published twice a year and informs about meetings, the financial status, a summary of news items of the term and any other matters arising. All Newsletters back to issue No. 1 from 1979 can be downloaded from the BSDB Archive. 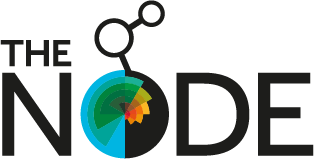 The BSDB is supported by membership subscriptions, and by a generous grant from The Company of Biologists, who publish Development, Journal of Cell Science, Journal of Experimental Biology and Biology Open (BiO), an Open Access journal that aims to facilitate rapid peer review for accessible research. Promote the BSDB & Developmental Biology! Being a member of the BSDB entitles you to a number of conference/travel grants. Members enjoy significantly reduced registration fees on all BSDB conferences. The Company of Biologists offers special personal subscription rates to members of the BSDB on all their journals. The BSDB welcomes new members with an interest in Developmental Biology (professional or amateur, research or teaching). Membership costs are £35/year for an ordinary member or £15/year for undergraduate or postgraduate students (only as long as you have student status and for maximally 4 years), and payment is usually by a standing order. To apply, simply download the BSDB Membership Application form and return it completed to the BSDB Secretary. Note, that two current BSDB members must endorse your application by signing the form. As soon as your membership has been processed, you will become eligible for member benefits. If your contact details or membership status have changed, please email your new contact details to the BSDB Secretary (secretary@bsdb.org). The BSDB is run by a committee elected by its members. the effect of environment on pluripotency within the early mouse embryo and the use of MCMC techniques to aid the matching of single cells across imaging modalities. Clare Baker (Cambridge; 2017-22) – neurogenic placodes and the neural crest in a range of vertebrates. Members are encouraged to make nominations for candidates for the committee at any time. Nominations should be seconded and sent directly to the Secretary (secretary@bsdb.org). Elections occur at the Annual General Meeting and terms are generally for five years. If the committee member subsequently becomes appointed as an officer, then the five year term is reset from that point.